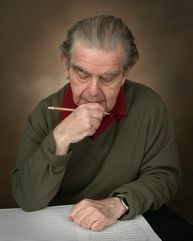 Mervyn Burtch is much missed as a composer, teacher and friend. His Bassoon Concerto and Serenade for bassoon and string quartet are among his works written for Crwth and performed in Crwth concerts. 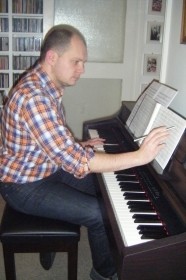 Chris Weeks, a Swansea composer, has been closely associated with Crwth from its inception. He has written numerous works for Crwth including the three song cycles Morgensternlieder, Autumn and Il Gran Rifiuto; a Chamber Concerto, a wind quintet and Concertino for flute, bassoon and string quartet. Damian Rees was born in Swansea and is a graduate of the Royal Academy of Music in London. He studied composition with Steve Martland and Dominic Muldowney. While at the RAM he won the Idoles Owen Prize in 1997 and was awarded an LRAM in 1998. In 2005 Damian was jointly awarded the John Fussell Young Artist’s Award from the Swansea Festival.